I love giving gifts to my loved ones, especially DIY gifts. They’re so personal and these ones are such great stocking fillers. Every year I like to make a little something because I simply enjoy it, I also like to give them to those who will appreciate them the most. Matt is such a sweets type of person so giving him a big jar of sweets is such a good gift for him knowing how much he’ll appreciate the thoughts and effort that has gone into making it. These DIY gifts don’t have to cost a fortune and they can be as big or small as you like. So, here are a few little ideas for DIY Christmas gifts. Mason jars can purchased in your local £1 shop or only. Totally inexpensive and decorative. They can also be recycled and used to add character to a room. I bought mine in a set of 3 for £2.99. 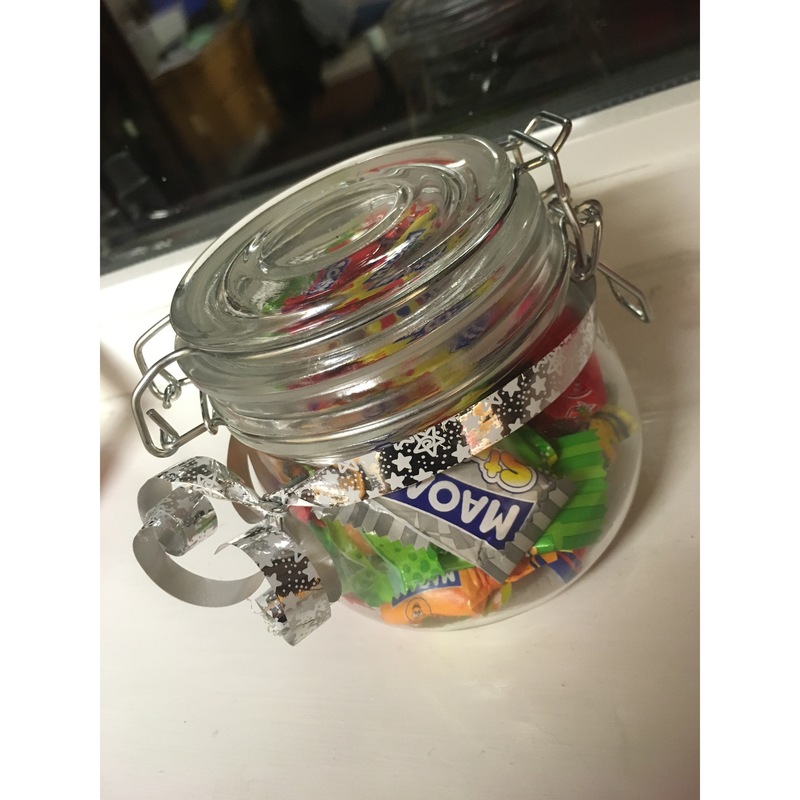 My first DIY is a sweet jar, as said above Matt loves sweets, so this year I’ll be adding some of his favourite sweets into a mason jar, adding the finishing touch of a ribbon and tag. Of course the ribbon and tag arent essential but it just makes the jar look so festive and pretty. Look below for my example of the sweet jar. My next DIY is a small beauty hamper. I like small sample sized products a lot, I think they’re fantastic for those who aren’t entirely sure what types of beauty items they like or should be looking for. I’ve made this beauty hamper for a friend. Admittedly, I sort of cheated with this DIY. I used some of the sample sized products I got in my Birchboxes to complete this DIY. These are generally the ones that I don’t particularly like or I feel that another one of my friends would enjoy more. I includes 4 of these products into the jar and rapped a bow around it. 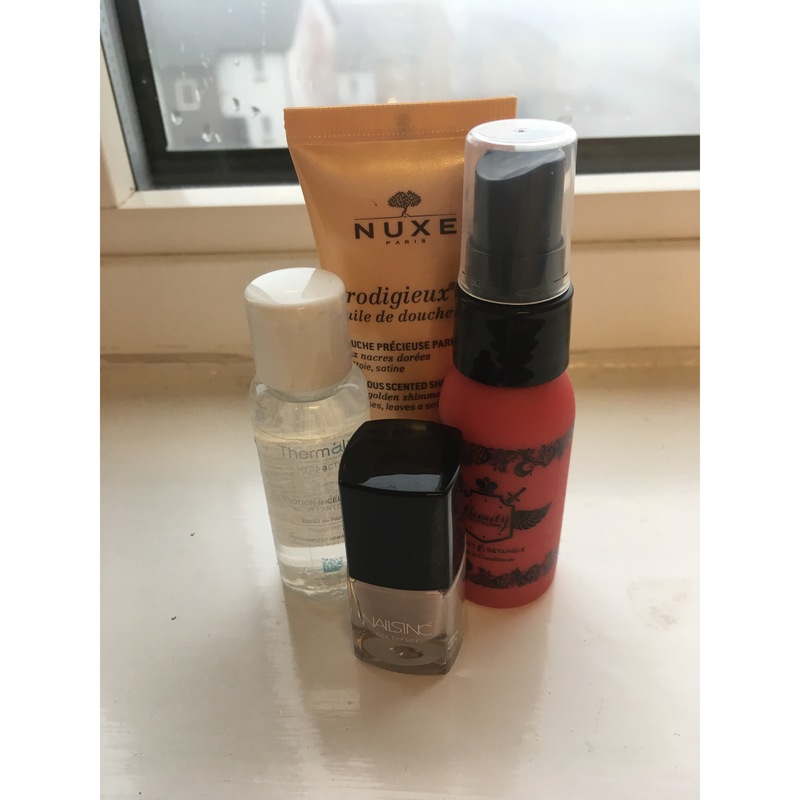 Boots and Superdrug also sell small products if you’re interested in this DIY but don’t have the Birchbox subscription. Around Christmas time so many stores sell hot chocolate sets, this is all well and good but a lot of the time they cost so much money. Why not make your own? 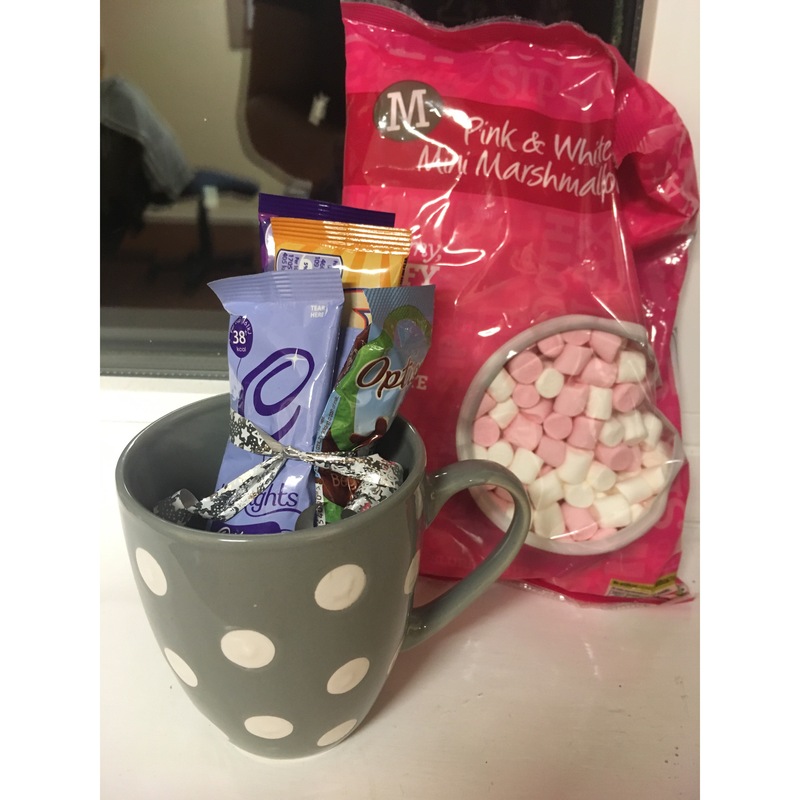 I got a mug from B&M for £1 and filled it with my favourite hot chocolates and small marshmallows. Totally inexpensive and fun to make. This can suit any gender and is such a lovely stocking filler. So here you have it, three DIY gift ideas suitable for all genders and are budget style. Let me know in the comments what you think.